October 26, 2018 – The Santa Fe College women’s basketball team is getting ready for the start of the 2018-19 season. They’ll open the season Thursday, Nov. 1, with a 7 p.m. tip against South Georgia Technical College. 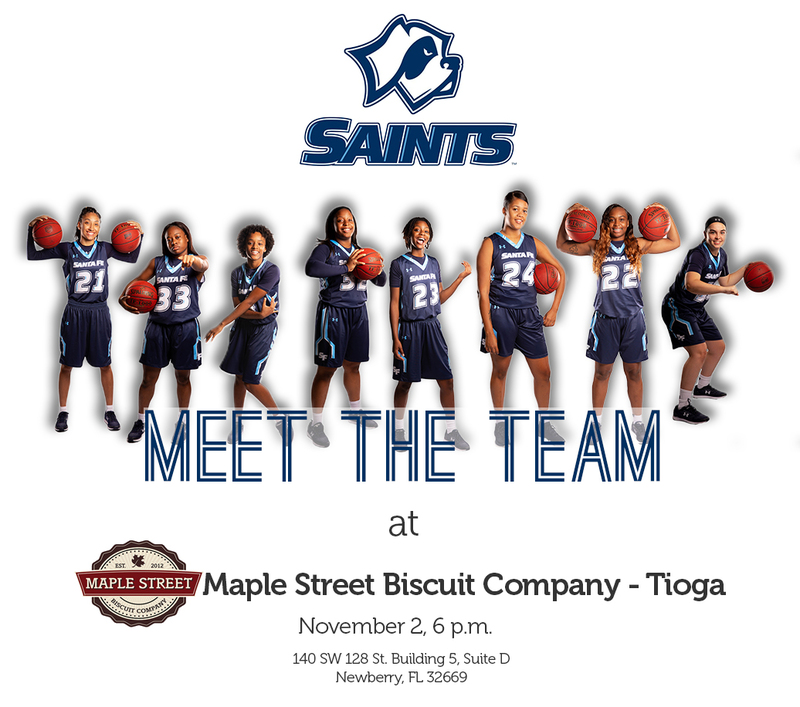 The following day, come meet the team at a special event at Maple Street Biscuit Company located in the Tioga Town Center. The team will be there beginning at 6 p.m. Friday, Nov. 2. Come on out, meet the players and wish them well as the new season gets underway. Schedule posters will be available for young fans to collect autographs and free game tickets will be available. This is a great opportunity for you to ask players questions and get to know our wonderful team better. For more information about Santa Fe Saints athletics, visit santafesaints.com.